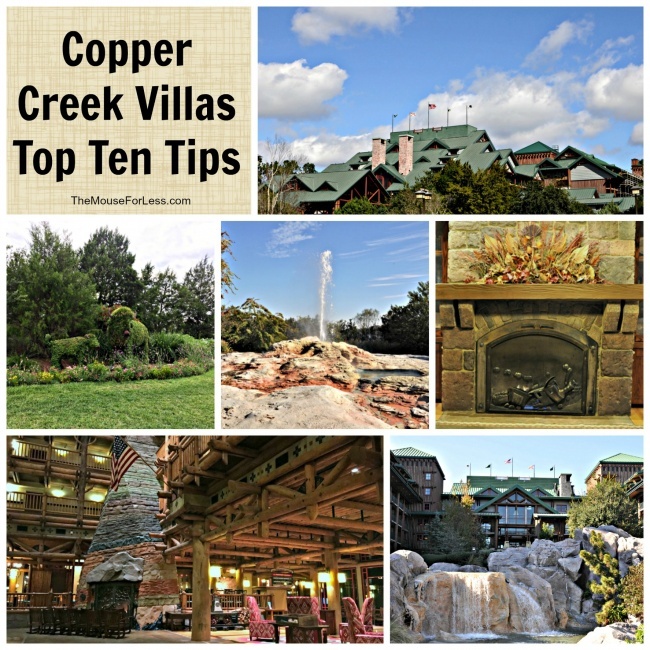 There are two pools: Copper Creek Springs Pool with a water slide, hot tub and children’s activity play area and Boulder Ridge Cove Pool which features a hot tub. Fire Rock Geyser: is based on Yellowstone National Park’s Old Faithful geyser. Take time to see Fire Rock Geyser shoot its plume of water 120-feet into the air. This happens every hour on the hour from morning until 10:00 pm. Boat Transportation: There are boats that travel to Disney’s Fort Wilderness Resort, Disney’s Contemporary Resort, and the Magic Kingdom. Visit Carolwood Pacific Railroad Room: This is a room dedicated to Walt Disney’s love of trains. Two trains from Walt Disney’s backyard have found a home in this room. Take the kids over to Disney’s Fort Wilderness Resort: to enjoy Chip’n Dale’s Campfire Sing-a-long. Enjoy the view of the Electrical Water Pageant: The beach all along the edge of the resort has a great view. Check with the front desk for times. Take the time to visit the main lodge: It’s a great place to view the huge stone fireplace and to see the totem pole. Looking for a place to jog: or to just enjoy a leisurely walk? There is a 1-mile bike path to The Cabins at Disney’s Fort Wilderness Resort. Would you like a nice adult-type dinner? Try Artist Point. They’re known for their excellent steak and great drink selection.